The Iwata High Performance HP Series is renowned as the professional's workhorse, meeting the needs of those requiring outstanding control, superior atomization, and consistent fine detail through to medium sized areas. 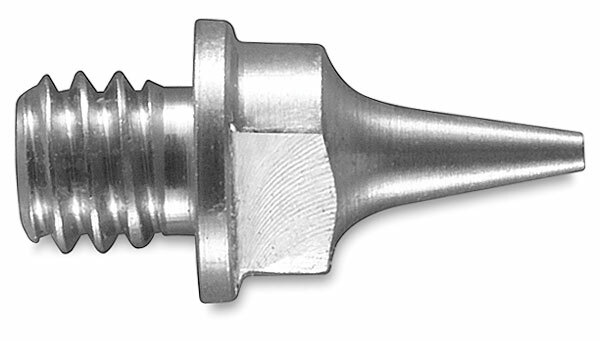 This fluid nozzle is intended for use with the Hi-Line AH, BH, and CH models. It is precisely made and tested by hand to assure accurate control and fine atomization of the spray. Unlike conventional nozzles made of brass, this steel alloy fluid nozzle is more durable and resists damage from harsh chemicals.